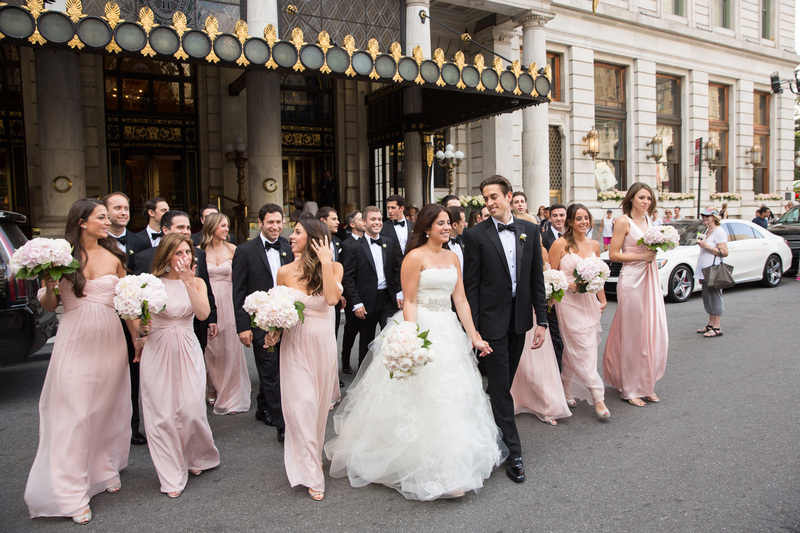 The perks and drawbacks of including bridesmaids and groomsmen in your ceremony. Friendship always means something different to each individual: for some, it means one person you spill all of your innermost thoughts and feelings to, and for others, it means having a gaggle of pals with which you share your time. When it comes time for a member of the group to wed, the question of “who’s going to be in the bridal party?” is bound to arise. – The added excitement and help they provide. It’s much easier to celebrate the small things during the planning process when you’re surrounded by encouraging friends. What with bachelor and bachelorette parties, engagement fêtes, and more casual get-togethers, you’ll be buzzing with motivation. Additionally, you’ll receive extra help with wedding details: planning, setting up, and day-of coordination should be far less difficult with a bridal party to back you up. – There may be some hurt feelings. When picking and choosing a bridal party, chance are, someone is going to feel left out – however, if you choose to forgo the custom altogether, you’re bound to have some confused and bruised pals. Any time you buck a major wedding tradition, attendees are going to have strong opinions. You’ll likely hear a lot of “Where’s the maid of honor?” and “I didn’t see any matching dresses” after the ceremony.